FREDERICK, Colorado – With the case documents currently sealed by a judge regarding the investigation into why 33-year-old Chris Watts allegedly killed his pregnant wife and two young daughters , more information about the family is filling in holes in the timeline surrounding the killings. Local, state and federal law enforcement officials said at a Thursday morning news conference they are still working to piece together the investigation surrounding the deaths of 34-year-old Shanann Watts and her daughters, 3-year-old Celeste and 4-year-old Bella. Watts was taken to jail at 11:30 p.m. Wednesday after he was detained for questioning. Two law enforcement sources told Denver7 Watts had confessed to killing his wife and daughters. He faces investigation on one count of first-degree murder after deliberation; two counts of first-degree murder – position of trust; and three counts of tampering with a deceased human body. 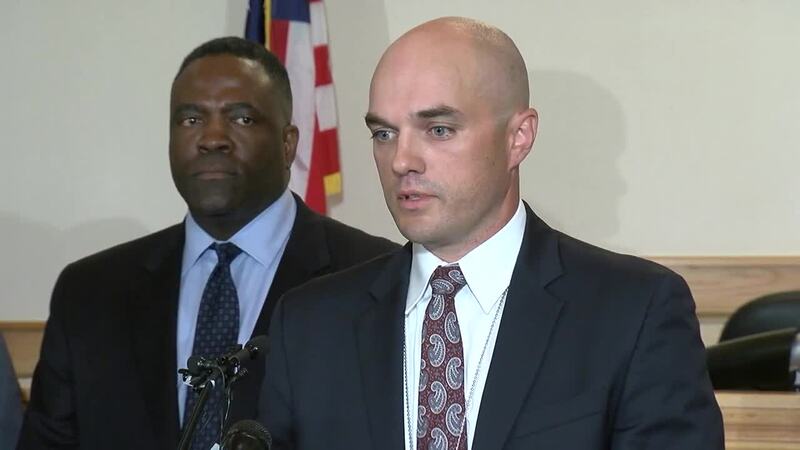 Weld County prosecutors will have until Monday afternoon to file formal charges against Watts. The affidavit for his arrest, which was sealed Wednesday night as the police investigation continues, could be unsealed Monday if charges are filed, officials said Thursday. The unsealed affidavit would likely provide more details about what police know that led them to arrest Watts in the deaths of his family. At a 2:30 p.m. bond hearing , Weld County prosecutors said they believe Shanann and the girls were killed inside of the family’s home but did not say why they believe that. 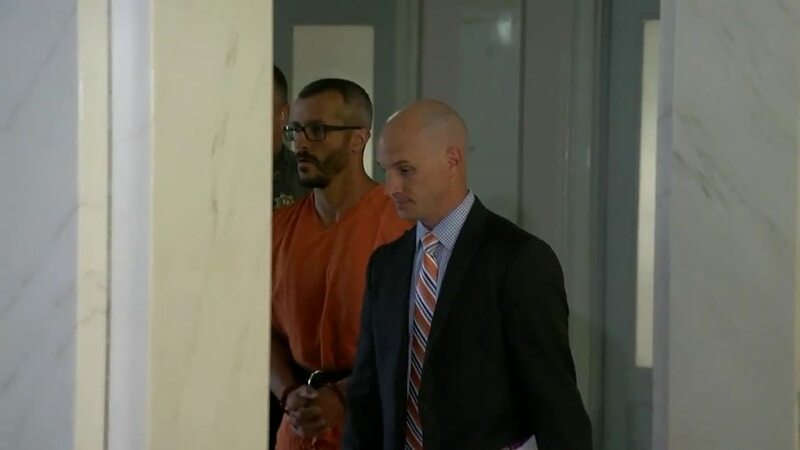 Prosecutors have a 3:30 p.m. Monday deadline to file charges, and Watts will learn what formal charges he might face at a 10:30 a.m. Tuesday court hearing. Watts will be held without bond pending his next court appearance. Frederick police on Wednesday confirmed some of the details surrounding Shanann’s disappearance that neighbors, friends and family have been talking about since Monday. A friend of Shanann’s dropped her off at her home in Frederick around 2 a.m. Monday . She had been in Arizona on a work trip. But much of what we have learned about what happened afterward comes from an interview with Chris Watts himself, who has been arrested in his family’s deaths despite his claims he knew nothing about where they had gone. He claimed that he last saw Shanann around 5:15 a.m. Monday when he left home. He told Denver7 that Shanann’s friend showed up to his door just after noon that day wondering where she and the girls were. Watts stayed with friends of the couple’s after Shanann and the girls were reported missing. He also coordinated media interviews, including one with Denver7, through them. Those friends, Nicholas and Amanda Thayer, told Denver7 Thursday they were horrified they let him stay in their home and apologized for backing Watts. Thayer said she had been told last week by Shanann that she had concerns of infidelity on Chris’ behalf. “She said that it came to her mind that possibly he could be cheating but at the same time, she was like, you know, he has no game,” Thayer said. Watts gave an interview to Denver7’s Tomas Hoppough on Tuesday, a day after the three were reported missing. In the interview, he tells a detailed version of what he claims happened when Shanann and their daughters Bella and Celeste went missing, including that he and his wife “had an emotional conversation” before he allegedly last saw her. You can watch the full interview by clicking here or in the player embedded below. Denver7 spoke with several neighbors this week who described the couple in various ways. One neighbor who didn’t want to be identified said they appeared to be a normal family. “I didn’t see anything negative in their relationship,” the person said of Shanann and Chris. The body believed to be that of Shanann was discovered on property owned by Anadarko Petroleum Company , where Chris Watts had been employed. But officials said they were still working to recover the bodies of the two girls as of Thursday morning. Anadarko said late Thursday morning that Chris was no longer employed by Anadarko, but did not say when or why they parted ways. “We are heart-broken by this, and our thoughts and prayers are with the loved ones and friends of the Watts family. We will continue to support law enforcement in its investigation,” company spokeswoman Jennifer Brice said in a statement. Children’s Hospital Colorado said Thursday that Shanann had previously worked there but had left the hospital more than a year ago. And the Thayer on Thursday told Denver7 that Chris mentioned putting the house up for sale on Monday. "We spoke to Chris on Monday. He mentioned putting the house up for sale; him and Shanann had spoke about doing that," Amanda Thayer told Denver7 Thursday. Shanann’s brother, Frankie Rzucek, pointed out two fundraisers created to help find the missing family that have now been turned into efforts to raise money for funeral expenses. There is a Facebook fundraiser and one on PayPal . KGTH-TV's Jennifer Kovaleski, Jaclyn Allen, Jace Larson, Tomas Hoppough and Stephanie Butzer contributed to this report.